Wow what an exciting day it is today, not only is it Good Friday but it is also Earth Day. I am planning to spend the day making natural soap, working in our garden and light house cleaning (would love to sneak in some light spring cleaning). Yearly on Earth Day I review the changes that I have made in the last year to live my life with more awareness of the earth. 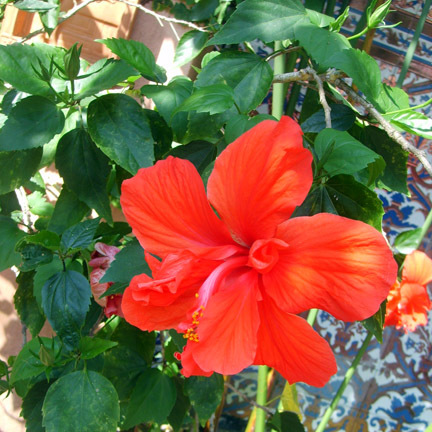 "Florida Hibiscus Bush Flower ~ So Pretty"
Switched to compact energy saving fluorescent bulbs from regular incandescent bulbs. Stop buying and using plastic sandwich bags, made handmade fabric snack and sandwich bags. Recycle more and reduce household waste. We have a garden and shop local. We wash all our clothes in cold water and make handmade eco friendly washing detergent. We use handmade all natural soap and bath products. We make all natural cleaning products for our home, reducing chemicals. We use rain barrels to water our plants and garden. Our lawn is pesticide free zone. 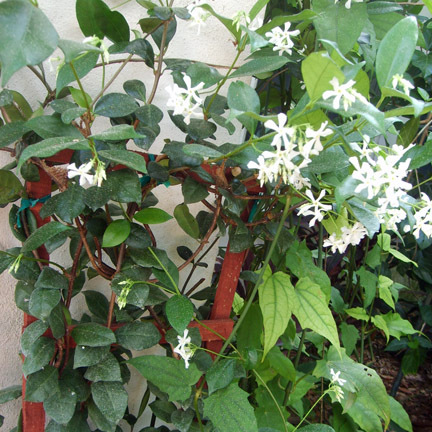 "Confederate Jasmine Vine ~ Smells so Good"
Would like to wrap our water heater in an insulation blanket and save 1,000 pounds of C02 a year. Compost more, I have composted on a small scale but would like to increase my daily composting. I know that compost is rich in nutrients that are great for helping my plants in our garden grow strong and healthy. I would love to host an eco friendly swap. What better way to get rid of our old stuff than to give it to friends who will find another use for it? Gather up your friends for swap where everybody brings a bag or two of stuff (clothes, toys, craft supplies, fabric, you name it,) and then everyone has a bag or two of newish items in exchange. On sunny days I would like to hang our clothes on an old fashion clothing line. I will not only save money, but our clothes will smell fresher. Incorporate additional green business ideas into the year for Natural Garden Soaps. Make seed pots from newspaper. I would love to hear what you and your family are doing to be Green? This day is all about celebrating and enjoying Mother Nature. Happy Earth Day! Hi Paula! I've asked my hubby to erect a clothesline for me for my upcoming birthday ~ it's what I really want! For your water heater ~ is a special blanket needed? Please advise so I can give it a try too! We've made a ton of changes over the years, including most of those that you mention. I love your soaps. Thanks for the opportunity to win. We now have your soap all over the house! It started with just in the shower. Now I use different scents in the kitchen and bath. A friend of mine has a problem with chapped and cracked hands all the time due to her working conditions (in a huge cooler) and since switched to your soap, she has been crack free!! I also need my hubby to install a clothesline for our backyard. We are trying to agree on a location for our new clothesline. Yes, a special blanket is required and available for purchase a Lowes or Home Depot. The cost is only between $20 to $50 dollars. Thanks for leaving a comment; I love to hear about what other people are doing to live a green lifestyle. I would love to hear about the green lifestyle changes that you have made? 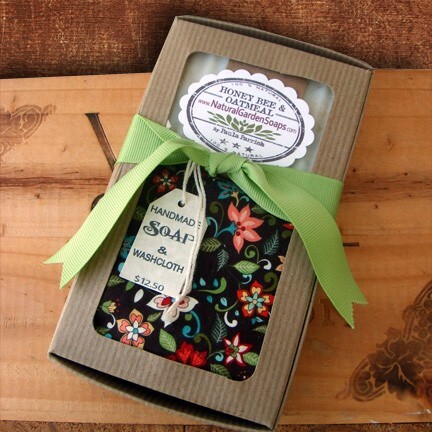 I am so happy that you enjoy my handmade eco-friendly soap. It is so awesome that you have included my soap to be used throughout your household. Not only does it smell so good; you can feel good because it is better for the environment that commercial soap products. It makes me so happy that your friend’s hands are now soft and crack free.